Hollywood Brass is approximately 150 gigabytes of pure Hollywood magic and includes Solo Trumpet, 2 Trumpets, 3 Trumpets, Solo French Horn, 2 French Horns, 6 French Horns, Solo Trombone, 2 Tenor + 1 Bass Trombone, Solo Tuba, Solo Cimbasso, and a low brass section consisting of 2 Tenor Bones, 1 Bass Trombone, 1 Tuba and 1 Cimbasso. A world-class group of brass artists was gathered for a sampling marathon that lasted for 21 straight 11-hour days followed by a year of post-production. 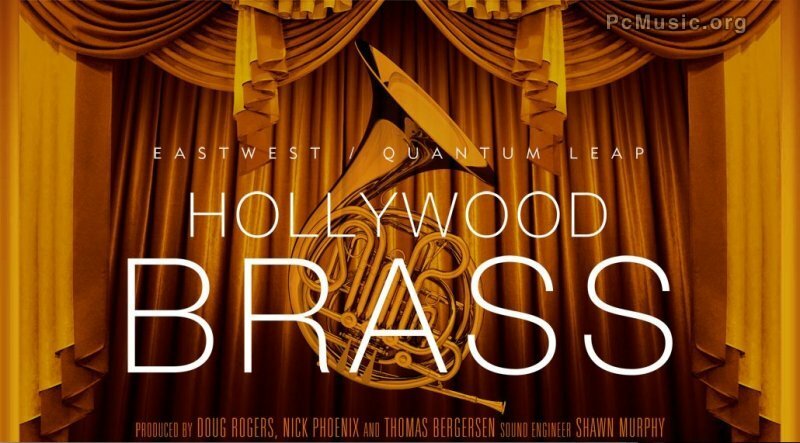 EASTWEST/QUANTUM LEAP Hollywood Brass Diamond Edition is now available for $995 MSRP ($795 introductory offer through August 15, 2011) and Hollywood Brass Gold Edition will be available for $595 MSRP ($495 introductory offer through August 15, 2011). Jan 1, 2013 50% off on EastWest/Quantum Leap Virtual Instruments! Nov 22, 2012 50% off on EastWest/Quantum Leap Virtual Instruments! Mar 14, 2012 Chance to WIN a fully licensed TERAPACK valued at $7,199! Nov 25, 2011 EastWest Offers 75% Off for Black Friday!